The American Medical Association called on Congress to vote down the American Health Care Act despite Republican's last-minute amendments to the bill, claiming millions will lose coverage if it becomes law. The trade group said in a letter to Congress Wednesday that it is still concerned about the law's plan to roll back Medicaid expansion. AMA said the bill's proposed tax credits are less generous than the Affordable Care Act's cost-sharing subsides for low-income individuals. “The reduced purchasing power with the AHCA tax credits will put insurance coverage out of reach for millions of Americans,” AMA said in its letter. The AMA said it is willing to work with Congress on proposals that will boost the number of Americans with quality, affordable health insurance coverage. Congressional leaders also received a letter from the American Academy of Actuaries (PDF) on Wednesday saying the AHCA would cause insurers to flee the individual market if it becomes law. Specifically, eliminating the individual mandate, changing the premium subsidies and eliminating cost-sharing subsidies will lead to insurer withdrawals and reduced consumer choice in coverage. The professional association's claims fly in the face of Republican promises that the AHCA would increase—not reduce—Americans' health insurance coverage options. Reducing coverage choice is the opposite of what Republicans said the AHCA would do. 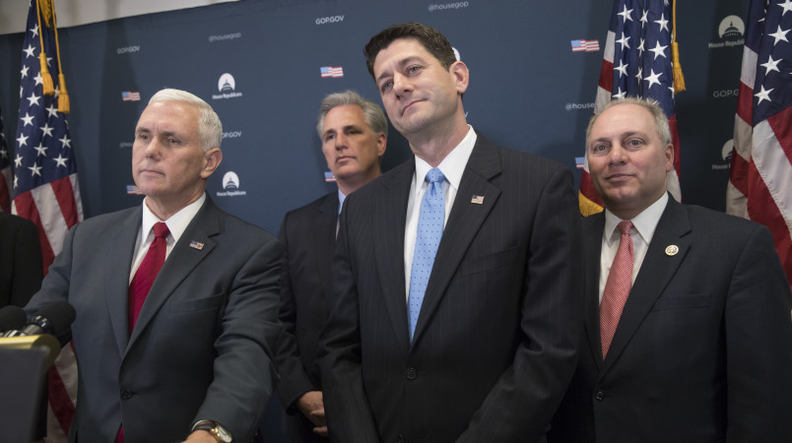 House Republican leaders issued changes to the healthcare reform bill on Monday to assuage moderate and conservative concerns over the Obamacare replacement. The revisions included increasing the growth rate of capped federal payments to the states for elderly and disabled beneficiaries, barring additional states from expanding Medicaid and ending most ACA taxes this year rather than next year. The so-called manager's amendments are likely to reduce the federal budget savings produced by the bill, which the CBO projected at $337 billion over a decade. Last week, the Congressional Budget Office projected that the bill would make insurance less affordable for people aged 50 to 64 and sharply drive up the uninsured rate in that group.